London/Oldenburg (renewablepress) - Statkraft, Europe’s largest provider of market access services, and energy & meteo systems, a leading provider of forecasting services and virtual power plants are connecting intermittent wind and solar generation with battery storage capacity and flexible gas engines in one virtual power plant in UK. This will help integrating the increasing share of renewable power into the British energy market. The virtual power plant monitors the operations of more than 1,000 MW wind power, solar power, battery storage and flexible gas engines and compares it with constantly updating Day Ahead, On-the-Day and cashout price forecasts allowing the real time optimisation of power trading in the British energy market. Statkraft is planning to double the capacity of the virtual power plant by the summer. Making best use of flexibility will facilitate the integration of intermittent power generation into the electricity system and by that the expansion of renewable energy in the UK. 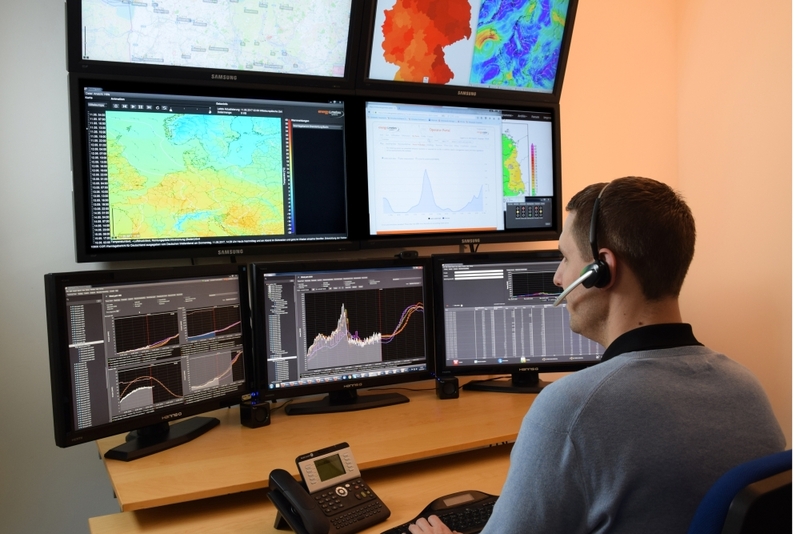 energy & meteo systems delivers the virtual power plant software, which connects, coordinates and monitors decentralised power-generating sites, storage facilities and controllable loads via a common intelligent control centre. In doing so, it can act within various energy markets as would a conventional power plant. By combining these functionalities with optimised power forecasting, fluctuating, decentralised power sources can be reliably integrated into the energy grid and profitably marketed at an energy exchange. In Germany, Statkraft interconnects more than 1,400 wind and solar installations in what is Europe’s largest virtual power plant. It has an installed capacity of approx. 12,000 MW. Control signals, forecasts and information about the actual generation are exchanged between the individual installations and the virtual power plant to the second. This makes it possible to shut down the generation within seconds and then start it up again, as required. Statkraft is one of the major providers of market access services for third parties in Europe with a portfolio of more than 18,200 MW. Statkraft is a leading company in hydropower internationally and Europe’s largest generator of renewable energy. The Group produces hydropower, wind power, solar power, gas-fired power and supplies district heating. Statkraft is a global company in energy market operations. Statkraft has 3,600 employees in 16 countries. energy & meteo systems offers services and software products that allow efficient use of wind and solar energy every hour of the day; the company is a leading international provider of wind and solar power generation forecasting for customers in Europe, North and South America, Asia, Africa and Australia. energy & meteo systems is one of the world’s first to deploy virtual power plant software connecting non-centralised electricity generators and controllable consumers from a single control centre connecting them into the energy grid and to the various energy markets. Publication and Reprint free of charge; please send a voucher copy to energy & meteo systems GmbH and Statkraft Markets GmbH. Please note: The publisher of this press release »energy & meteo systems GmbH« is responsible for the content.